Plymouth, MI. – July 19, 2016 - Stardock released a new Campaign DLC for the The Political Machine 2016 today. 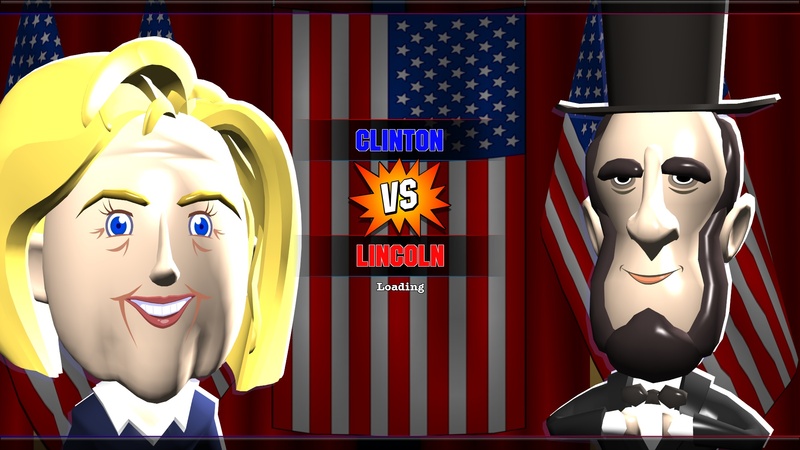 This new DLC will have players battling for a spot in the White House against some of the most famous (and infamous) presidents in American history. 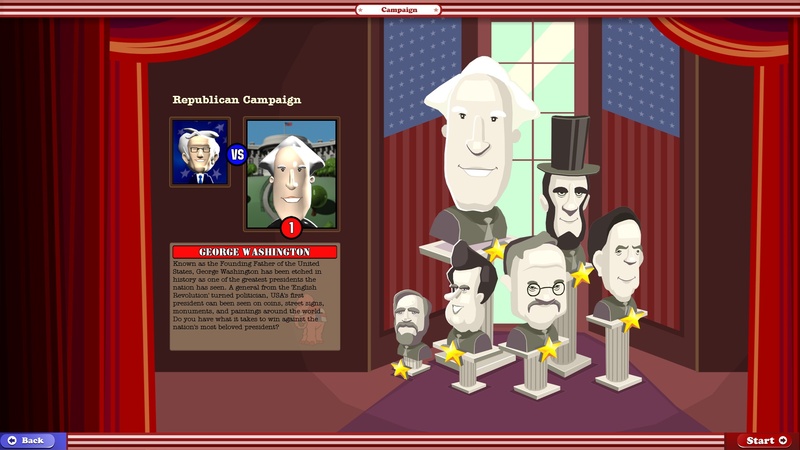 "Our biggest challenge was choosing which past-presidents to include in the DLC," said producer Patrick Shaw. "There are so many to choose from that we had a difficult time narrowing it down, but we think that people will be pleased with the results." Each historical candidate comes with a modern perspective on all of the hot current issues and is ready to fight for the 2016 presidency. "Defeating a candidate in the new ladder mode will unlock them for general gameplay," said Shaw. 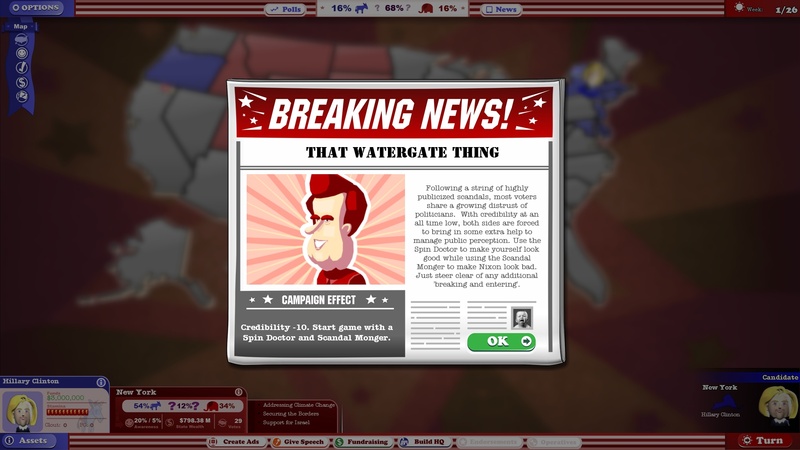 The new ladder mode allows players to choose Democratic or Republican candidates to campaign against members of the opposite party to win the presidency. Each new opponent will prove to be more challenging than the last, gradually increasing in difficulty until the player has a real fight on their hands at the top of the ladder. "No one said becoming president was easy," said Shaw. "We've included some new custom challenges for ladder-mode matches, just to keep things interesting." Issues like dealing with high gas prices, the people’s mistrust of politicians, impending war, and much more will keep players constantly altering and adapting their strategies in order to achieve victory. The new Campaign DLC is now available through Steam or Stardock. For more information on The Political Machine 2016, please visit www.politicalmachine.com. It looks good but what abour FDR, Truman and Eisenhower? The Bushes? Now that the VP picks have been made, will we be getting a Kaine-Pence update in fairly short order? He will be included in the next update to the game.